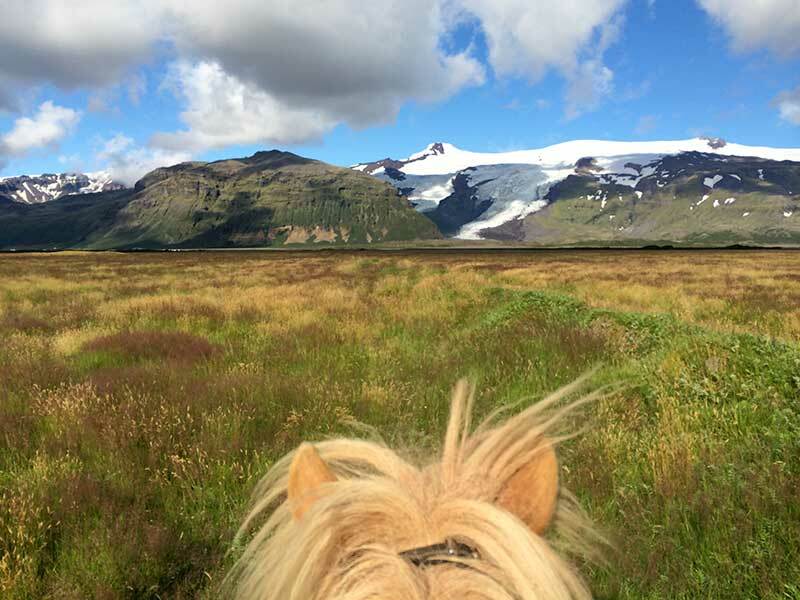 Come and enjoy the strong, sure-footed but first and foremost gentle and friendly Icelandic horse in the beautiful realm of Öræfajökull glacier and Hvannadalshnjúkur, the highest peak in Iceland. 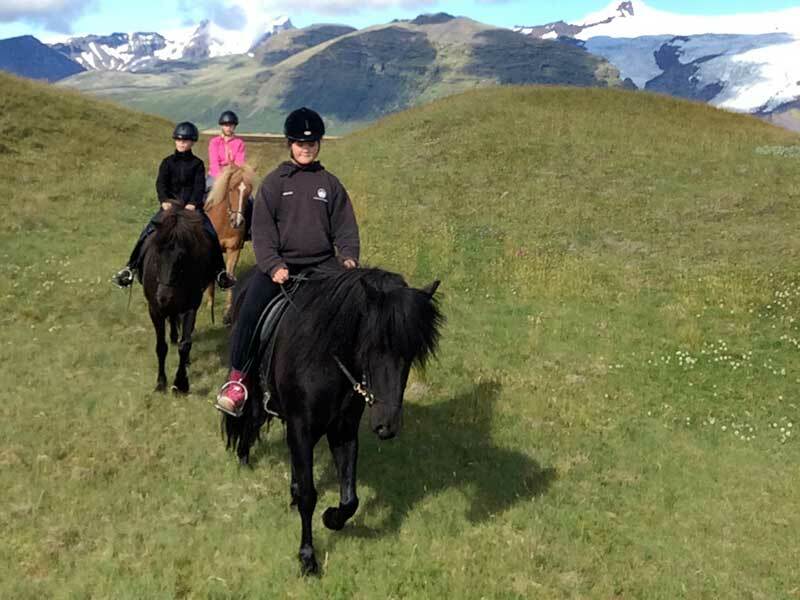 We offer short riding tours (1-1,5 hour) in Sel which is only 6,4 km east of Skaftafell National park and about 50 km west of Jökulsárlón Glacier Lagoon. The tour suits both beginners and experienced riders and we try to arrange the tour to the ability and experience of the rider. We always start inside the pen so the rider can try the horse in a secure area while the rider gets a feeling for the horse and horse and rider get to know each other. We always put safety in the first place! When everybody is ready and feels comfortable an experienced local guide takes you out on a short riding tour, about 1-1,5 hour. For many beginners it takes time to get the balance right so with beginners we start riding on the slowest gait of the horse, the walk, and if and when you are ready to go on faster gaits we do so. The area is known for its contrasts and diverse landscape. 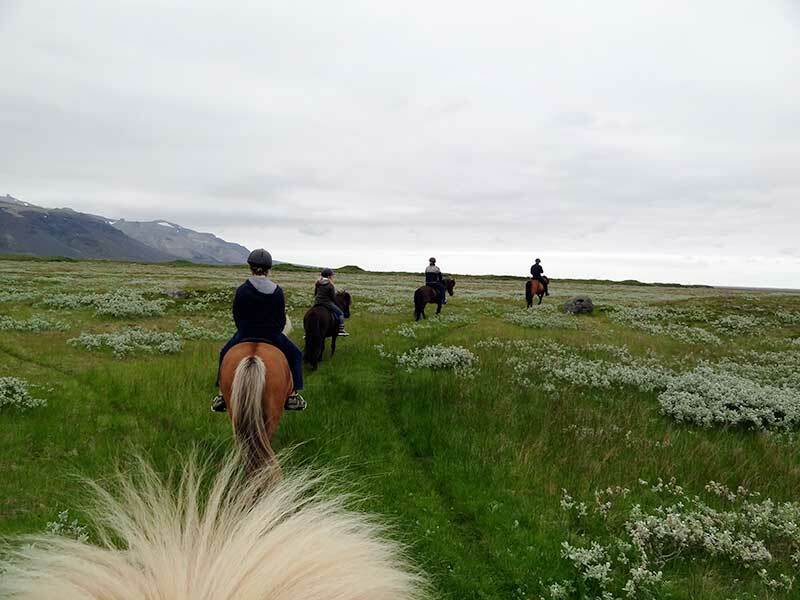 From this short tour you ride through green fields and black, rocky sands, over small creeks and past a big, dark, streamy glacier river and past a small, typical Icelandic forrest. On your one side you have the flat land reaching to the sea far away on the horizon and on the other side you have the mountains with the ice-covered Öræfajökull, the largest active volcano in Iceland (2110 m), towering over them all with its many glacier tongues flowing down the mountain hills. Included: Riding gear, guidance and safety equipment. And a horse!